James Church returns with his prolific Lucidstatic project; and his first on the rising Moscow based label UTSC, conceptually situated around his various highs and lows and the music that filled the space in-between these experiences. Opener ‘Into the Darkness’, surprisingly enough, utilises a range of pads that are more uplifting than expected. Solid Industrial rhythms and breaks provide a sturdy foundation for airy synth-work and harmonious electronics; where Church faces his demons head on with an unabridged bravado. The darker tinged soundtrack of ‘Where my Dreams Hide’ folds into a space age Breakbeat and melodically scattered ‘Deeper In’. Here, James experiments a touch more; and what transpires is a flagship for the audio equivalent of a sea of zero’s and ones. Lucidstatic has a varying degree of weapons in his arsenal and utilises these to great effect. Bridging a web of Industrial, breaks and nostalgic electronics, with the odd smattering of masked Dubstep and IDM, has been a rewarding friend for Church. Whilst he never really produces that one song you simply cannot get out of your head; he has always formulated solid albums that make sense as a whole collective package. ‘Spaces Between’ once again, may not provide the listener with that one club ‘hit’ so to speak; but it does supply the listener with 11 tracks of intrigue and journeyman ingrained quality. 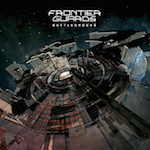 Sibling Moscow bases label, ‘Unguided Tactical Sounds’ has started off their release schedule well on the quality stakes; and this is none more so evident than on the latest album by Frontier Guards. Packaged in a six panel DVD sized Digipak and including some additional data files as well as the full album, this is certainly provides more value for your buck. As far as the music goes, I was hoping for a massive step up. I wasn’t so keen on previous output, such as ‘Interface’ released in partnership by Signifier and Aliens Productions; with FG sat in a quagmire of derivative electro-industrial nothingness. Luckily this time around, the technicality has been stepped up a notch in the programming stakes and the end result is altogether more engaging. A barrage of sampling has been used to good effect here, capitalising on a good ear for Sci-Fi soundtrack sensibilities that detract from the usual 4/4 noise terror structures. By the time the second track ‘Another Sun’ kicks in, there is genuine flow and movement to the release that carries the listener with a surge in positive momentum. There is the argument that the samples on offer are far too formulaic; and relying on a variety of well-known film sources has been done to death. There is of course a weight to that notion, but in this case it works well; and the overall results add a pleasing familiarity to the proceedings. Of course, by no means are Frontier Guards going to set the world on fire in the originality stakes; and I am sure they never will. However, with ‘Battleground’ this trio have produced an album that is easy on the ear, enjoyable to listen to and ticks a lot of boxes in production values. With it’s fair share of stand out moments, FG come across better when they leave vocals out of the equation and in this case there is a healthy balance between the two; meaning there was more for me to latch on to this time around (even though it will never be my bag personally) and still enough on the menu for older fans alike, who should lap up this limited release with gusto. The mastermind of Anatoly Grinberg, Tokee has been treading the boards for a number of years now, with a less conventional approach to electronic music as opposed to his peers. Opening up with ‘Plasma Membrane’, neo-classical structures are played out as a mighty arpeggio interweaving between sporadic and frenetic beat-play. The overall effect is a hybrid mash up of medieval village music, dragged across time and space into the 21st century. In contrast, ‘Nucleus’ rises from the rain-drenched earth as a more subdued and atmospheric piano-led ambient number, that evolves into rich IDM Sci-Fi drenched obscurity. ‘Struktura’ as a whole, doesn’t play by any rules. More often than not we are treated to peculiar patches of sound that wouldn’t normally be utilised when constructing a track; such is their simplicity and peculiarity. However, Grinberg has a knack of pulling contrasting styles together with ease, allowing for rich warm sub-texts and gently cut and paste rhythm sections, to glue them all together cohesively as one. What I particularly enjoy is Anatoly’s sense of harmony, no more prevalent than on his piano work; and a highlight for me is the prominence of the keys on ‘Ribosomes’, where it takes centre stage for dramatic pad-work to rise in the background amongst tight building blocks of beats. Overall, ‘Struktura’ is an enjoyable romp that teasingly strays from the path into other avenues, whilst keeping a tight stranglehold on the genre in which it resides. Involving enough, whilst giving your senses a pause for reflection when it detracts from the norm, Tokee has produced a clever and interesting release; that provides enough twists and turns to stamp its own individuality on what sometimes feels like an overly congested genre. Moscow’s Bouquiniste light the touch paper from the word go, with the bombastic ‘The Day They Came’; with a furiously soundtrack driven, up-tempo barrage of beats and layers of pads that delve into orchestral territory; whilst fluttering electronics do battle in the background. In contrast, ‘Awakening’ is the aftermath of a great war; where survivors of the destruction clamber out of the ruins, to bare witness to the catastrophic results and there is a feeling of defiance that erupts from the proceedings in a crescendo of swirling digital fusion. 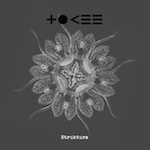 Produced by Alexander Okunev and Anatoly Grinberg, it’s immediately evident that one half of this duo is part of Russia’s IDM enthusiast, Tokee. Many of the pad work is reminiscent of the latters other work, but this all adds to the familiarity; and ultimately makes this album a more enjoyable experience. 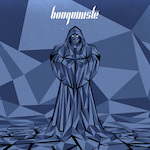 Bouquiniste focus their approach on being the musical equivalent of cutting edge weapons around the globe, based on sound. Evidence comes aplenty in the form of breakbeats and scattered blisters of spangling electronics; that flitter through as wave upon wave of cataclysmic destruction as the album progresses to its dramatic finale. Re-issued under the new Unguided Tactical Sounds label in limited format, there are a further three bonus demo versions of tracks that are simply ‘untitled’ (and a further three mixes on the digital download); further adding to the notion that there is a futility in war, even if it inspires some great music in the process.